Despite the rainy weather, the P.S. 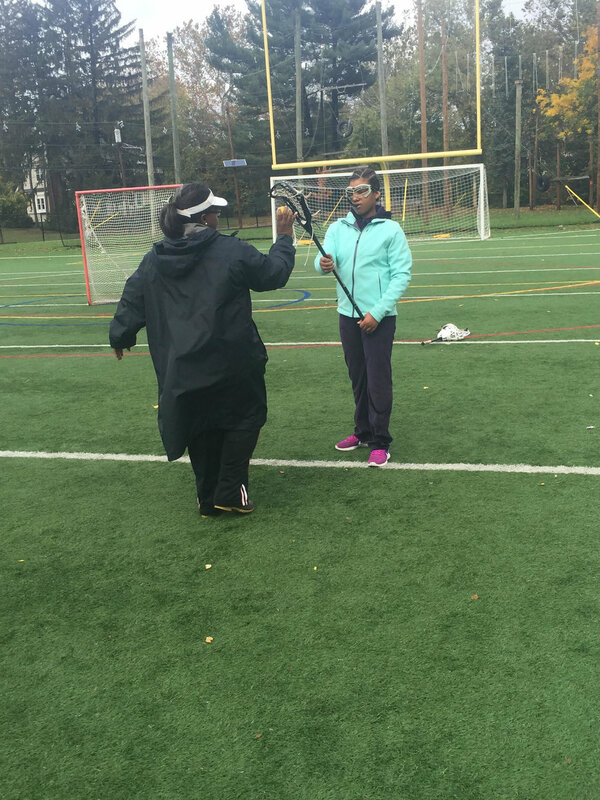 149 The Sojourner Truth Tigers traveled to Ridgewood, NJ on Saturday, October 22nd for the 5th Annual Ridgewood/Harlem Lacrosse clinic. Both the girls and boys had a fantastic time playing lacrosse and bonding with new friends! On the girls' side, Ridgewood High School Lacrosse coach, Coach Karla Mixon, planned great day of lacrosse and team building games for a girls clinic. On the boys side, the clinic was lead by Ridgewood High School Lacrosse Coach Mike Pounds. There was a great mix of teaching different lacrosse skills, leadership activities and scrimmages. On both sides, there were many laughs and new friendships made. After the two hour lacrosse and leadership session we all got out of the rain and were able to have pizza and cookies together. Thank you to all who made this day happen especially Eric Bachmann, Coach Karla Mixon, and Coach Mike Pounds, and all of the Ridgewood families who made the day possible! The kids cannot wait to start earning some of the new donated gear!